In most scenarios, the unseen risks – the ones you don’t expect and don’t prepare for – are the most dangerous risks. There is a lot that can go wrong with a survival plan. Major disasters are chaotic and full of hidden dangers, and it’s difficult to foresee and prepare for all of them. However, the more hidden dangers you uncover and prepare for, the less likely it is that your plan will be derailed. 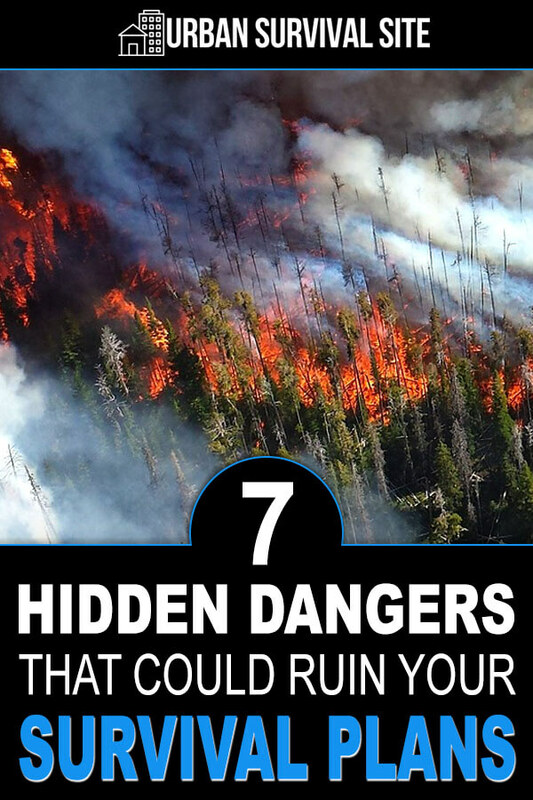 With that in mind, here are seven hidden dangers that could ruin your disaster plans. Prepare for them ahead of time to make sure they don’t. When you can regularly replenish your supplies with fresh food from the supermarket, eating spoiled food is a minor concern. But in a disaster scenario, where you are living on your stockpile of food, you need to be much more careful about what you eat. The trouble is that when hunger sets in, “risking it” with a can of food that looks or smells suspicious becomes a lot more tempting. 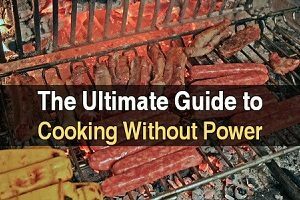 However, eating spoiled food could end your life far more quickly than starvation, and in a manner that is every bit as unpleasant. While consuming some spoiled food may just leave you sick to your stomach, other types of spoiled food can be lethal. If you plan to rely on stockpiled food as a part of your survival plan, it’s important to learn the signs of spoilage and avoid food that looks suspicious at all costs. Disaster scenarios come with a number of moral dilemmas. For example, whether or not to help people who aren’t as prepared as you are. It’s easy to say you would turn them away without a second thought, but it’s not as simple when you are looking into the eyes of another human being, knowing that refusing to help them is sentencing them to death. Likewise, it’s just as easy to say that you would help anyone and everyone, but it’s an entirely different matter when your supplies are dwindling and you and your family’s lives hang in the balance. Whether it’s comfortable to admit or not, people who come to your doorstep looking for help are a hidden danger, and how you deal with them could determine whether you live or die. Keep in mind that desperate situations create desperate people, and even the most peaceful people can turn to thievery and violence when their lives are at stake. That’s why home security after the SHTF is so important. Unfortunately, there is no right or wrong, black and white answer for how to deal with people who come asking for your help. In the end, all you can do is recognize the danger that they present and decide for yourself how you want to deal with them. Ideally, you would make sure no one finds out you’re a prepper in the first place, that way they won’t come to your house when the SHTF. 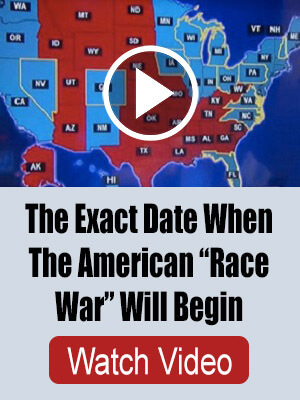 But if they do find out, here’s what you can do. We’re fortunate enough to live in a world where modern medicine has turned injuries and illnesses that used to be life-threatening into things that are little more than an inconvenience. But what happens in a scenario where modern medicine is no longer accessible? In such a scenario, even minor injuries and illnesses can become a major threat. For example, without access to antibiotics, a simple cold or flu could transition into pneumonia and take your life. Or a minor cut could become infected and take your life. Or a sprained ankle could mean that you are unable to fend for yourself, costing you your life. Unfortunately, the possibilities are endless. To avoid being taken down by a minor injury or illness, it’s first important to exercise caution. Do your best to keep your immune system strong and stay away from people who might be contagious. (Consider stockpiling pandemic supplies, just in case.) Likewise, avoid unnecessary risks that could lead to injury as best you can. In addition to avoiding injury and illness as much as possible, it’s also important to stock up on as many first aid supplies as possible so you can treat injuries and illnesses that do come up. You may fall well short of duplicating the full effectiveness of modern medicine using just your expertise and supplies, but it’s still better than nothing at all. Recovering from a disaster such as a house fire, flood, or tornado is difficult enough under normal circumstances. But when you’ve already been struck by one disaster, being struck by another one can be fatal. Natural disasters can destroy your supplies, your shelter, and everything you rely on to survive in a matter of minutes. Without the luxury of a weather service, it can be difficult to see them coming, which makes them the very definition of a hidden danger. 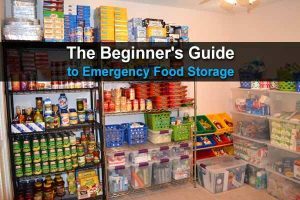 In order to deal with natural disasters when you’re already in survival mode, it’s a good idea to keep your supplies in a location that is as disaster-proof as possible, such as underground in a watertight structure. 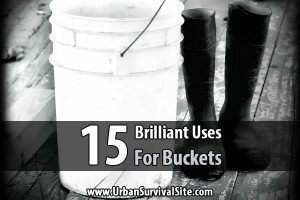 You could also hide some survival caches in various places around your property or town. It’s also important to know the types of natural disasters that are common in your area so you can better prepare for them. While house fires can happen anywhere, disasters such as tornados, hurricanes, and earthquakes are specific to certain parts of the country. Figure out the natural disasters that are common to your area and put together a plan for dealing with them. Of all the things that people need to prepare for, emotional strain is overlooked the most. Most survivalists will do everything possible to ensure their physical health without giving a second thought to their mental health. However, in order to survive the most perilous situations, your mind needs to be in peak condition. The problem is that everything about a major disaster is incredibly taxing on your mental health. The stress of trying to keep yourself and your family alive can become overwhelming in no time at all, and all of the comforts that you’re used to won’t be there to soothe and relax you. It’s important to stay calm. Other times, it isn’t the stress that gets you but rather the boredom. In most cases, a post-disaster world is going to be one that entails week after week of mind-numbing boredom followed by brief periods of way more excitement than you bargained for. It isn’t just the “exciting” periods that are dangerous, though, as the periods of boredom can deteriorate your mental health and lead to cabin fever. When putting aside supplies, it’s important to keep these things in mind. In addition to the things necessary to keep your body healthy such as food and shelter, you also need to set aside things such as books, music, and other entertainment items to keep your mind occupied and healthy as well. Lack of sleep for an extended period of time can be very detrimental to your health. Of course, getting a good night’s sleep when SHTF is easier said than done. Of all the comforts you may be used to, the ability to fall asleep easily is likely to be the first to go. But if you’re not getting enough sleep, you won’t be physically or mentally prepared to deal with the dangers that come your way. Unfortunately, there is no easy cure for the stress-induced insomnia that goes along with disaster survival. However, having a secure place where you can sleep without fear is a great place to start. If that’s not possible, then everyone should take turns standing watch throughout the night, that way others can rest easy knowing they will be alerted of any danger. You may also want to set aside a supply of over-the-counter sleep aids to make falling asleep easier. I recommend mild sleep aids such as melatonin or diphenhydramine, as anything stronger could make it difficult to wake up in the event of danger. Dangerous wildlife was a major concern back when we were first invading their territory. Today, dangerous animals rarely encroach on our world of concrete and glass, choosing instead to stick to their own domain. However, if you leave the city and take off through the wilderness, then all that changes. Suddenly you have to deal with everything from ticks and mosquitoes that can carry life-threatening illnesses to spiders and snakes that can end your life with a single venomous bite to large predators that may view you as a threat, a meal, or both. 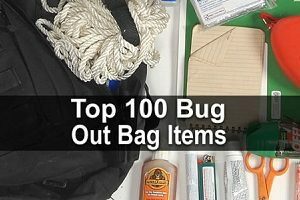 If your bug out plan involves going through the wilderness to escape the chaos of the city, it’s essential that you have a solid understanding of the wildlife in the area. Identify any dangerous wildlife you may encounter and prepare ways to deal with them. For example, you’ll likely want to have insect repellent no matter where you live. If you’re in bear country, it’s a good idea to have bear spray and/or a large caliber firearm with you, and if there are venomous snakes in your area, then it’s a good idea to buy a snakebite kit. There are certainly many other hidden dangers that didn’t make this list. All you can do is spend time learning from others and trying to imagine every possible scenario, that way you can prepare accordingly. The more you plan ahead, the less likely you are to be caught off guard when the SHTF. There is another danger, rather rare these days but still real: the danger that we won’t recognize/understand/perceive that something presents a major danger. I’m specifically thinking of the 79 AD Vesuvius eruption which destroyed Pompeii and Herculaneum. The people living in these cities had no idea they were in danger; they literally didn’t know what a volcano was and didn’t know they were living near one. There had not been an eruption within the collective memory of the civilization; there wasn’t even a Latin word for “volcano”. Consequently, when an eruption began no one knew it was dangerous. We know from archeological evidence and the letters of Pliny that many people did evacuate in terror, frightened by the explosion, smoke, fire, etc. Others remained in these cities, where they were killed by collapsing buildings, noxious gas, suffocation, pyroclastic flows, etc. Nowadays we think we’re smart, but what if an unknown danger threatens? Will we be quick enough to think outside the box and recognize it? This is very true. Many of the biggest problems/challenges in my life were completely unexpected. I think the more you prepare, the better you’ll be able to hand unexpected disasters, but you can never be 100% prepared for every possibility. You just have to do the best you can. good chance contaminated water will be taking people down before any spoiled food gets them – a few days to a week after the taps go dry and the dysentery will be everywhere >>> followed by the likes of cholera ….